Analysis Amidst Constant Change | Data Works International Inc. 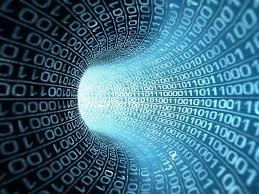 Here at DataWorks we love data and know that your customer data is in a constant state of change. In fact, we specialize in providing our clients with detail data analysis in the midst of constant change. For one Fortune 500 client, that manufacture building materials, on monthly bases we provide up to the minute statistical analysis reports in the form of spreadsheets and graphs. This provides an in-depth look into a wide range of categories about Credentialed Roofing Contractors across the US and Canada, 10 different regions, who use this company’s products. Along with tracking new leads, also provide information on current companies who may need to update their credentials, to remain informed on the newest trends in the construction industry, including Solar and ‘Green’ systems. The reports include individual and company-wide credentials, and shows new signups (new contractors and new credentials) and number of extended warranties sold during a given period and year to date. Additional reports and graphs are run to compare previous years’ performance by region, territory and individual contracting companies. These reports are sent to Regional Sales Managers, and Program Directors. We also provide a ‘Scorecard’ report that tracks the number of credential companies and warranties over 5 year period for each region of country which is forwarded to the Program Directors and their assistants. This report allows them to focus on areas of the country that are growing and where to apply their resources. There is also a detailed information report on each contractor sent on a monthly basis to each Territory Manager. With each region divided into several Territories, these managers can keep in touch with their customers and their current credential status. All managers have access to an online database that shows up-to-the-minute information on each company and their individual and company credentials. Managers love that they don’t need to wait until the end of the month to view, download, or change the contractor information. We promise, there is a light at the end of that tunnel.